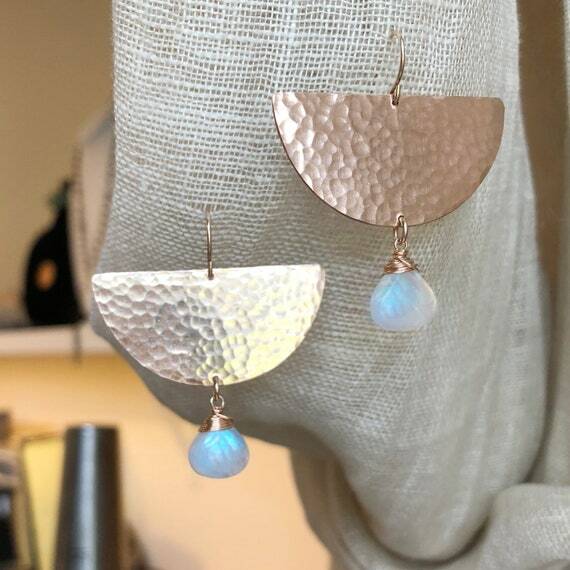 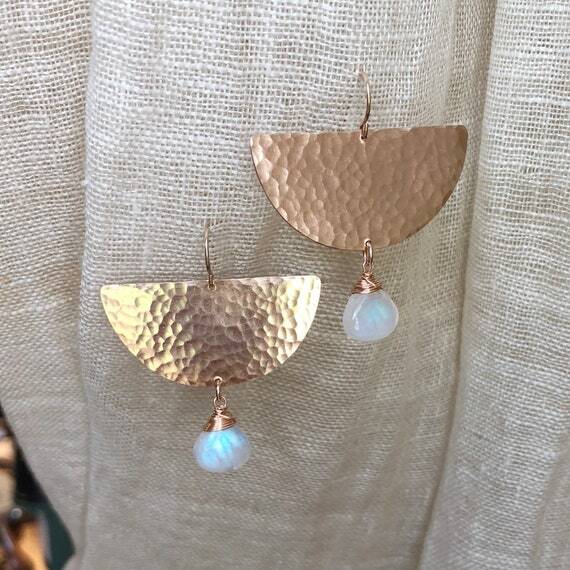 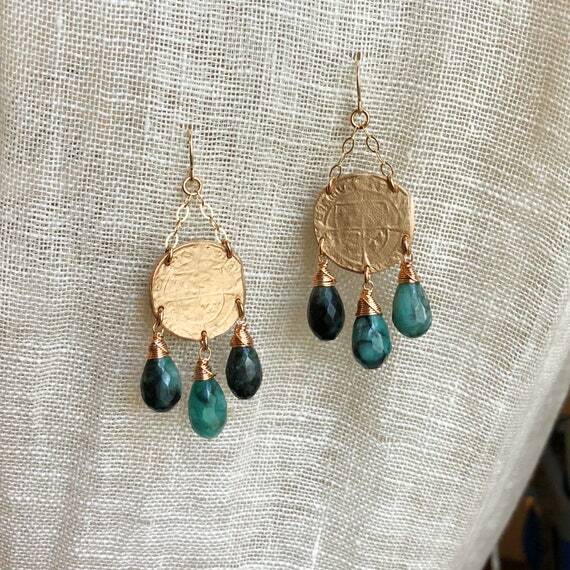 The Cloudburst Earrings feature a hammered bronze semi-circle component and beautiful smooth rainbow moonstone droplets. 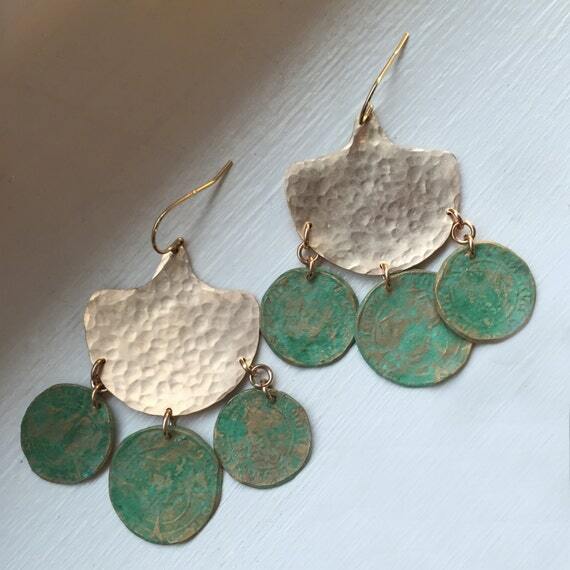 Approximately 1 1/2" wide x 1 1/4" long. 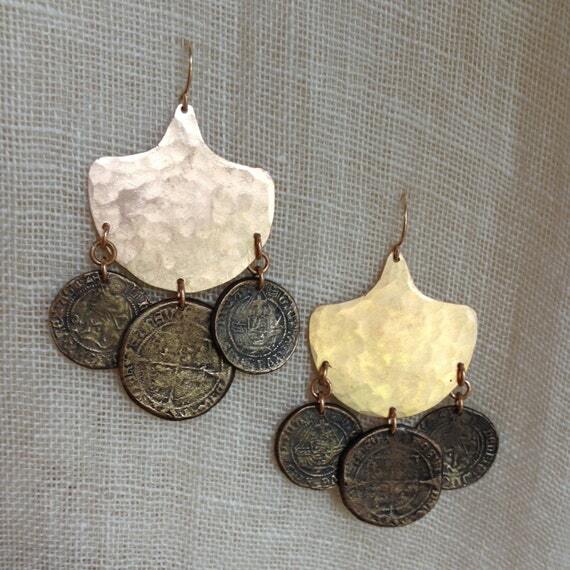 14k gold filled lead free ear wires.